*This information about DCU Visa® Platinum Secured Credit Card has been collected by CardRatings.com and has not been reviewed or provided by the issuer of this card. Credit unions offer several benefits, including lower fees, lower interest – and if you ask their customers – better and more personalized service than big banks. However, all these perks come with one requirement: membership. Typically, you can become a member of a credit union through your employer or based on your location. Many entities, including the Digital Federal Credit Union, also allow you to join if you’re already a member of a participating organization. If you're in a position where you need to build or re-build your credit, the DCU Visa® Platinum Secured Credit Card is an enticing option, so it could be worth checking into whether you're elgible for DCU membership. Many secured credit cards charge an annual fee in addition to the security deposst needed to establish your line of credit. The DCU Visa® Platinum Secured Credit Card is different in that it doesn't charge an annual fee. The credit limit is still based on the amount of your refundable deposit, which is typical of a secured card. 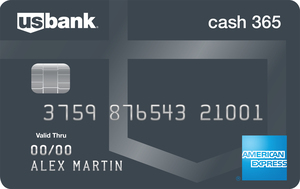 But what really differentiates this card is its low APR and no fees for cash advances and balance transfers. Additionally, the APR on the DCU Visa® Platinum Secured Credit Card is low comparatively. And with standard balance transfers fees at 3 percent and cash advance fees of up to 5 percent in the industry, DCU Visa® Platinum Secured cardholders looking to rebuild their credit or who have unforeseen expenses can seriously stand to benefit from the lack of fees with this card. Though it isn't good financial management to do it regularly, cardholders do have the option to borrow against their DCU savings account at a flat rate, earning dividends in the process. This allows you to use your savings as collateral to borrow money, while keeping cash on hand for other expenses. However, you should take advantage of this card benefit only when you truly need it since this is a loan that will accrue interest and reflect negatively on your credit report if you don’t meet the repayment terms. The DCU Visa® Platinum Secured Credit Card has several other benefits. It’s compatible with Apple Pay™, so iPhone 6 or Apple Watch users can use it at more than 200,000 stores. Standard benefits include rental car insurance, extended warranty on most purchases and access to Visa® Travel Services, which provides $500,000 in free travel insurance coverage and guaranteed room availability at participating hotels when you make travel purchases using your card. The DCU Visa® Platinum Secured Credit Card’s minimum deposit of $500 may be a barrier to entry for some consumers who want to take advantage of the card’s low interest rates and lack of fees, but can’t afford the deposit. That said, the collateral funds remain yours, but are simply unavailable to you until you close the card. The low interest rate also comes with some strings. It’s variable and will change with the prime rate, meaning that you could be paying more interest on your purchases month-over-month. For this reason, it’s a good idea to pay off your balances in full every month. And like most secured cards, the DCU Visa® Platinum Secured credit card doesn't come with any perks or reward-earning possibilities; however, this card is designed to rebuild credit and not to help you amass rewards. DCU Visa® Platinum Secured Credit Card vs. Capital One® Secured Mastercard®. Neither card has an annual fee, and both report to all three credit bureaus and offer benefits that include rental car insurance and Apple Pay™. The Capital One® Secured Mastercard® has a minimum required deposit starting at just $49 based on your creditworthiness, however, which is much lower than the DCU Visa® Platinum Secured Credit Card’s $500 minimum. It also comes with several benefits to help consumers rebuild their credit and improve their financial literacy, including CreditWise®, which has a simulator that allows you to see how specific actions affect your credit score. Still, the Capital One® Secured Mastercard® has a high APR – more than double the DCU Visa® Platinum Secured credit card’s starting rate. Want to pay less interest every month? Then choose the DCU Visa® Platinum Secured Credit Card. DCU Visa® Platinum Secured Credit Card vs. OpenSky® Secured Visa® Credit Card. While the DCU Visa® Platinum Secured Credit Card has no annual fee, the OpenSky® Secured Visa® Credit Card has a $35 annual fee. However, its minimum deposit is lower – ranging from $49 to $200 based on your credit history. Both cards report to all three major credit bureaus. OpenSky® doesn't require a checking account to get its card, but you must have a savings account with Digital Federal Credit Union to get the DCU Visa® Platinum Secured Credit Card, though the minimum deposit to open an account is just $5. OpenSky® has a 5 percent fee on cash advances and doesn’t offer a balance transfer option, but the DCU Visa® Platinum Secured Credit Card doesn’t charge a fee for either of these card benefits. Bottom line: if you can’t afford the $500 deposit, go with the OpenSky® Secured Visa® Credit Card. Otherwise, the DCU Visa® Platinum Secured Credit Card is a better option because it doesn’t charge hefty fees. Anyone who needs to rebuild their credit or first-time card users who need to establish credit. If you can swing the $500 minimum security deposit, the low fees on this card are among the best in the business. 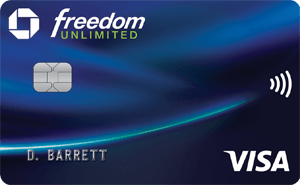 The lack of fees with this card – no annual fee, no balance transfer fee, no cash advance fee – set it apart from other secured credit cards. It's our 2017 Editor's Choice pick for Best Card for Bad/Limited Credit. Borrow against your DCU savings account should the need arise. You can build or re-build your credit history with a card that offers a few perks and features, a rarity among secured credit cards. The $500 minimum deposit could be an insurmountable hurdle. If that's the case, look for a secured card that accepts a lower security deposit. finding out my credit score has helped me to see I need to work on improving my credit rating. That is why this card, for those with bad credit, is the perfect place to start building my credit back up.I love the benefits of this card as well as the customer service is outstanding. I loved it because of the service I was granted all of the customer service team had patience with me and my questions. I like the way the system is explained and how easy it is to find the credit card that's right For me.